Interim CEO Bram Schot: "We are systematically moving towards electric mobility and are consistently prioritising future topics"
Ingolstadt, December 5, 2018 – The Audi Group is accelerating its realignment with high investments in future-oriented topics. From 2019 until the end of 2023 alone, the company plans advance expenditure of approximately €14 billion in electric mobility, digitalisation and autonomous driving. This includes investments in property, plant and equipment as well as research and development expenditure. Overall, the company's total projected expenditure for the planning period of the next five years amounts to about €40 billion. "This planning round bears a clear signature: We are taking a very systematic approach to electric mobility and will be much more focused in future. 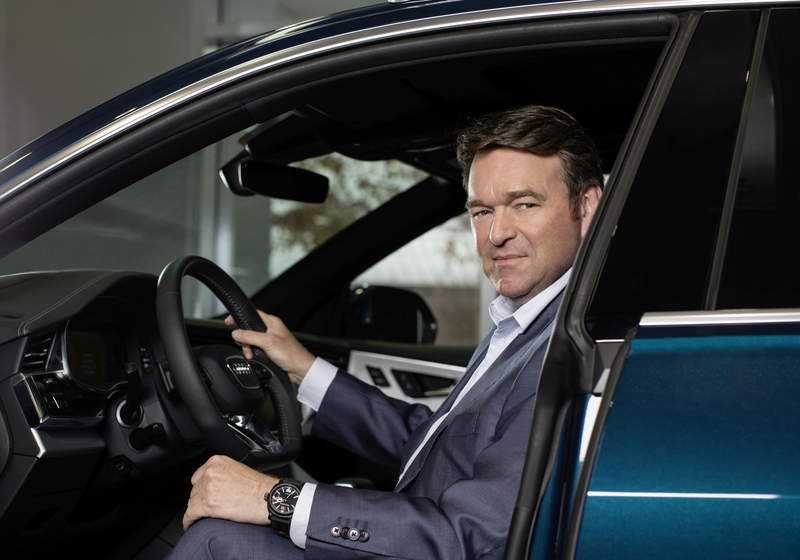 We are consistently prioritising our resources for future-oriented products and services that are highly attractive and relevant to the market," says Bram Schot, temporary Chairman of the Board of Management of AUDI AG. Starting with the Audi e-tron, the brand's first all-electric SUV, the company will launch numerous electric cars in the coming years. By 2025, Audi will offer approximately 20 electrified models, about half of which will have all-electric drive systems. At the same time, Audi is pushing forward with the digitalisation of its vehicles and plants, and is expanding its business model with new digital services such as "functions on demand". The share of total expenditure for future topics will therefore increase significantly over the planning period. Particularly in the second half of the planning horizon, the approved advance expenditure also reflects the scaling-up of electric mobility on the basis of cross-brand architectures with high Group synergies. To this end, Audi is working with Porsche to develop the "premium architecture electrification (PPE)" for large electric cars, while the "modular electric drive kit (MEB)" is being realised together with Volkswagen. systematically rolling out its successful Audi Transformation Plan. With this program, Audi will already generate positive earnings effects of more than €1 billion in 2018, counteracting the financial burden from high advance expenditure. In addition to transferring resources to areas of the future, the Audi Transformation Plan is primarily aimed at reducing complexity, systematically utilising synergies, and identifying and discontinuing activities that are no longer relevant to customers. Mr Bram Schot, Chairman of the Board of Management of AUDI AG (temporary) and Member of the Board of Management for Sales and Marketing.